Earn money with My Social Book! Drive traffic to Mysocialbook.com and quickly earn commissions from purchases made by customers you refer. Affiliate marketing is a great way to make money while associating your site with a premier brand like My Social Book. 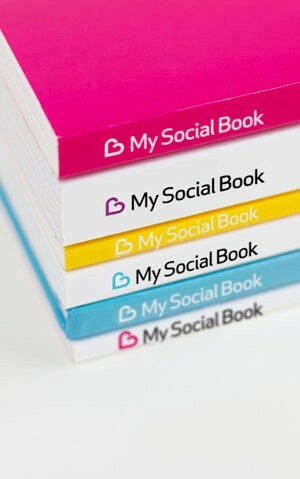 The My Social Book Affiliate Program offers regular newsletter updates, compelling creative assets, publisher incentive programs, affiliate exclusive offers, and more. Become a My Social Book affiliate partner today to take advantage of a great opportunity! Established in 2011, My Social Book is selling a brand new kind of photo book. Our technology automatically creates a 25 to 500 pages book with all your content from Facebook and Instagram. With all the photos, likes and wall posts, it’s much more than a regular photo book - it’s a personal yearbook, the story of your life. This product is totally unique and we are the only one selling it. Which is logical, since we invented it! 57% of our visitors convert less than 24 hours after first connection, so you can expect good performance if you send qualified traffic. We have CPA based or Revshare programs.